Early summer can provide some of the best fishing action of the year for many species of fish found in the Midwest. In fact, many very successful anglers consider June to be the best time of the year to go fishing. 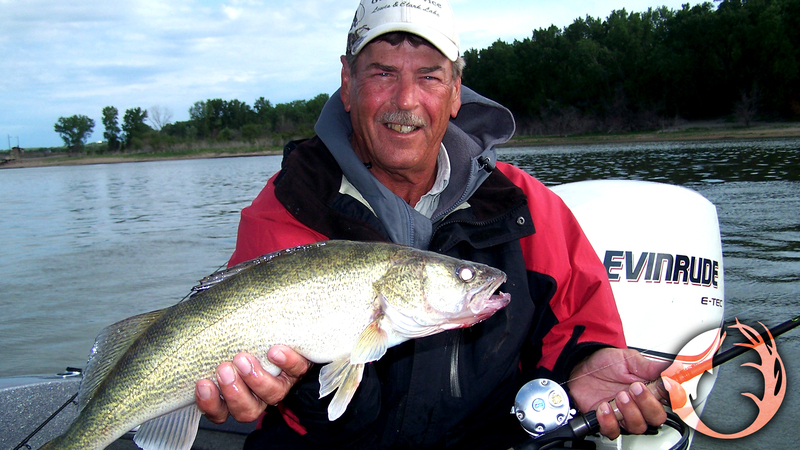 Walleyes and bass are particularly susceptible to an angler’s presentation right now. If you want to catch more fish in the next few weeks, consider these ideas. Weather can play a role in where the fish are found this time of year. Depending on when the fish spawned, they might be shallow or at mid-depths. The earlier they spawned, the earlier they’ll move to deeper water. Also, you might find that, early in the month, the smaller fish will be more active. As the water warms the bigger ones will get more aggressive. After the spawn, the smaller male fish begin feeding sooner. Evidently, the spawn isn’t as difficult for the males as it is for the females. The larger females usually require some time to recover from the rigors of spawning. They’ll eat after that recovery period. Look for the best activity to be near the spawning areas. After the spawn the bass and walleyes will stay around their spawning areas for awhile, then they’ll move to an area where there’s some food. For walleyes, that might be the first drop-off or newly emerging weedbeds. For bass, it might be reeds or lily-pads near their spawning area. If you find where they’re hanging out, you’re going to get bit. It’s hard to beat a spinnerbait for largemouth bass this time of year, but lately we’re throwing a rubber-legged jig tipped with plastic instead of the spinnerbait. We’re fishing it kind of like we would a spinnerbait, there’s just no blade. It might be that bass have become conditioned to the spinnerbait: I don’t know why, but that jig has sure caught a lot of a bass the past couple of years. A good jig/plastic combo would be a Jungle Jig tipped with the largest Impulse Paddle Shad or Swim’N Grub. Cast it around cover and retrieve it just like you’d slowly retrieve a spinnerbait. In places where the bass have seen a lot of spinnerbaits, this technique is very productive. Jigs are also good for walleyes right now. If the walleyes want a slower presentation, a stand-up Fire-Ball with a minnow is good. More and more though, we’re using jigs and plastic, especially when the walleyes are in newly emerging weeds, and they’re in those weeds more than you might expect. Try a Mimic Minnow or Mimic Minnow Shad, or thread a Swim’N Grub or Paddle Minnow onto a Slurp! Jig head or a Rock-It Jig. The Slurp! Head is better if you’re using a swimming retrieve, the Rock-It works better for a snap-jigging/hopping retrieve. Anytime is a great time to go fishing, but I think if I was limited to one month to fish for walleyes or bass, it would be June or October. Right now June is my favorite month, in a few months I will be looking forward to October. Get out when you can.